Tocadilly is the sister fragrance to Tocade. Created by Maurice Roucel, Tocadilly is a soft and sensuous fruity-floral fragrance for the "younger woman who is not afraid to enjoy life," the modern woman who is the true queen of her domain. Top Notes: cucumber, lilac, hyacinth, pear, mandarin, jasmine, tiare, wisteria, mallow, mimosa. Heart Notes: glycine, coconut, heliotrope. Base Notes: musk, amber, sandalwood. 1. 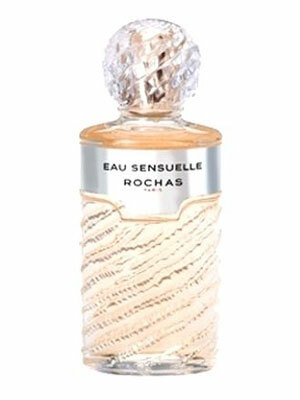 Subscription: Alchimie by Rochas for Women. Year Introduced: 1998. Scent Type: Floral - Oriental. Top Notes: Grapefruit, bergamot, black currant bud. Heart Notes: Jasmine, passion flower, acacia. Base Notes: Vanilla, tonka bean, sandalwood. 2. Subscription: Olfactive family: Floral Sweet. Olfactive description: Fruity(Cassis). Green Floral (Rose, Acacia) Oriental Spicy Powdery(Heliotropine, Tonka bean) Vanillic Sweet(Liquorice, Caramel) Musky Woody(Sandalwood) Balsamic Tea. Very confusing!!! :-) Happy sniffing. All Rochas fragrances are hard to find. Hi ladies, I found 2 descriptions for Tocadilly by Rochas for Women. 1. Year Introduced: 1997. Scent Type: Floral - Fruity. Top Notes: Cucumber, lilac. Heart Notes: Glycine, coconut. Base Notes: Sandalwood. "The French firm of Parfums Rochas introduced Tocadilly, a fruity floral fragrance, in 1997. Tocadilly is youthful, brisk, and flirty, a scent that conjures madcap adventures and simple summer days. Breezy fresh greens of cucumber, hyacinth, and pear impart a captivating lift to the floral bouquet of jasmine and mimosa, while amber and sandalwood weave a sweet magical spell. Tocadilly is presented in fanciful shades of turquoise, apple green, and violet--a vibrant splash of color that reflects the embraceable fragrance within. 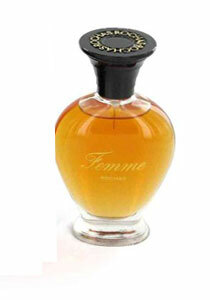 "© - Scent Profile by Jan Moran author Fabulous Fragrances II © 2005. - 2. Tocadilly (Women) : Olfactive family: Floral. Olfactive description: Aromatic Green Chamomile Floral (Hyacinth, Jasmin) Woody(Sandalwood) Musky. Perfumer: Chris Sheldrake. - - And here a subscription for TOCADE: "Tocade by Rochas for Women. Year Introduced: 1994. Scent Type: Floral - Oriental. Top Notes: Magnolia, rose, mandarin, bergamot. Heart Notes: Rose. Base Notes: Vanilla, amber, cedarwood. 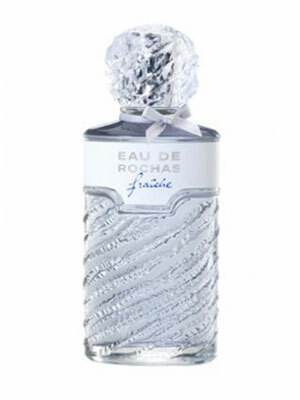 "Tocade is a lighthearted offering from Rochas, the fragrance house that brought us Byzance and Femme. Tocade, in French, means an "impulsive infatuation." Tocade is a youthful, free-spirited fragrance, a floral Oriental. The playful composition unfolds with fruits and florals, then segues to a creamy finish of vanilla and amber. Bottle designer Serge Mansau interpreted Tocade's spontaneity by applying bold primary colors of red, blue, and yellow; dashes of green and orange add spice to the whimsical, pointy-cap bottles. Vibrant and merry, Tocade is encased in bright Rochas-red cartons. "© I know both, Tocadilly (more fruity-sweet-carefree) and Tocade (more a soft oriental like Casmir by Chopard or Vanilla Fields). They are not similar. Tocadilly is hard-to-find. Hope this helps. Greetings from Germany, Sylvie. The notes quoted and on this site are incorrect. They are actually the notes for Rochas' ALCHIMIE, according to my textbook. There are many similar errors on this site. This is the nicest fragrance I have ever smelt without a doubt. Tocadilly is not for every woman, you must have a certain taste. I bought it some time ago, but I don't wear it that often anymore. It's nice, but a bit too sweet sometimes. In my opinion it's a winter fragrance. Tocadilly was the second fragrance I tried after Acqua di Gio. I fell in love with, then they stopped importing it, so I tried another fragrance (Amarige - much stronger). I have just begun wearing OP Juice for men and I love it. I just realized it is much like Tocadilly: Light, sweet and addictive. Both are very pleasant scents! 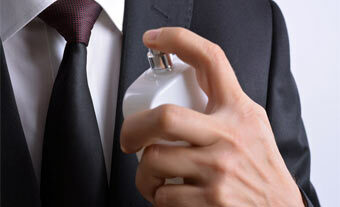 Top notes of cucumber, lilac, hyacinth, pear, mandarin, jasmine, tiare, wisteria, mallow and mimosa. Heart notes of glycine, coconut and heliotrope. Base notes of sandalwood, amber and musk. Very nice and light for summer, but not too sweet. Theres NO resemblance. Where Tocade is ambery and mysterious, Tocadilly is lighter and more floral. The wisteria (glycine) gives it an unusual twist. Both perfumes are good, but very different. Does this fragrance resemble Tocarde' in any way? I am in Australia and haven't heard of it -but I do love Tocarde. This is a light fruity fragrance which gives me compliments when i wear it. I may not be able to smell it but it stays with you!